Author and worry coach Dr. David Carbonell uses a combination of the evolutional concepts of acceptance and commitment therapy as well as cognitive behavioral therapy to teach you how to get hold of your worry trend by leaning and avoiding the trick that your brain uses to get you worried and anxious. 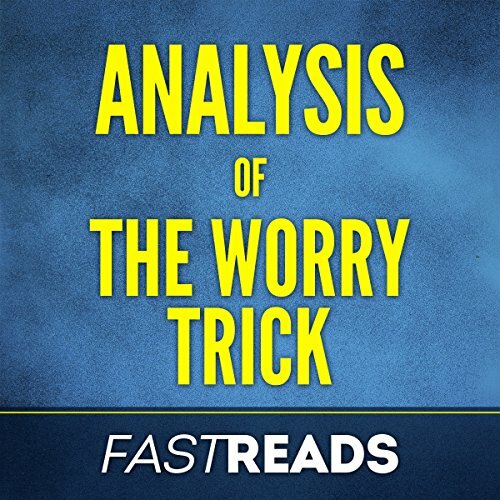 This FastReads Analysis offers supplementary material to The Worry Trick to help you distill the key takeaways, review the book's content, and further understand the writing style and overall themes from an editorial perspective. Whether you'd like to deepen your understanding, refresh your memory, or simply decide whether or not this book is for you, FastReads Analysis is here to help. Absorb everything you need to know in under 20 minutes! What does this FastReads Analysis include? The Worry Trick is a book for everyone. The world today is moving so fast, and so many things are bound to go wrong so easily and abruptly - even dangerous things! In a world like that, everyone will tend to worry. So everyone can benefit by having a pocket guide that reminds them that most of these worries aren’t real, and teaches them a trick to avoid worry. Please note: This is a summary, analysis, and review of the book and not the original book. It is meant as a supplement to and not a replacement for The Worry Trick. Lasted all of 10 minutes before the narrator voice was too much. Not a great first experience with audible.